Slideshow: If you love Mercedes-Benz as much as most people, then you want to see it everywhere. Here are some billboards that will catch your eyes out on the road. Mercedes-Benz has always been known to be the maker of some of the most luxurious vehicles in the world. 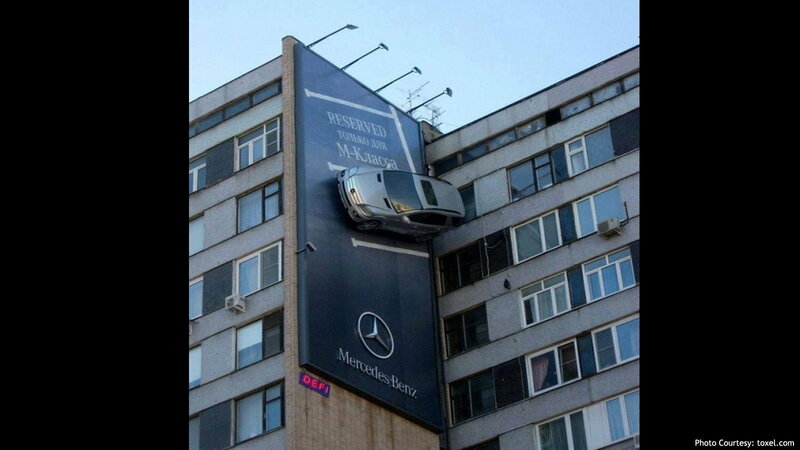 This billboard simply says "the best or nothing," and if you own a Mercedes, then you only accept the best. No need for fancy models, no need for clever sentences, only simple facts, and let the car do the talking. If you're into construction work, then you will appreciate this billboard. 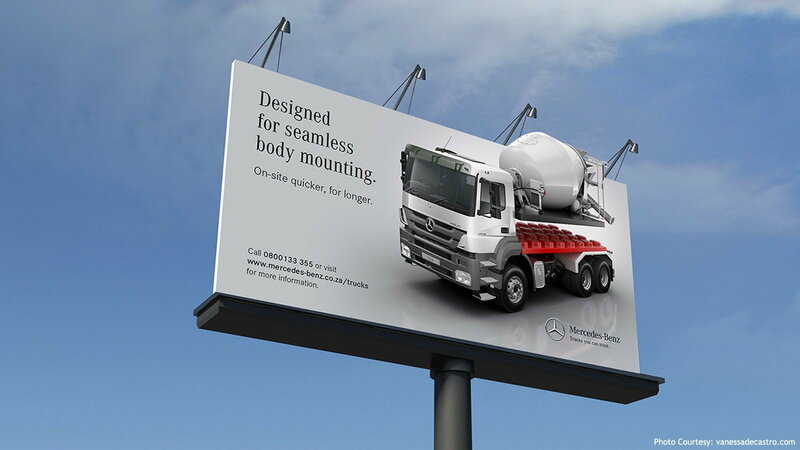 The heavy-duty truck sticks out of the billboard, and whether you are a fan of trucks, or if you use them for work, you will not be able to look away from this creative piece of marketing. >>Join the conversation about these awesome Mercedes billboards right here in MBWorld forum. The technology, superiority, and luxury that Mercedes always brings are second to none. The company's reputation is extremely positive, and there aren't many people that don't know what Mercedes brings to the table. 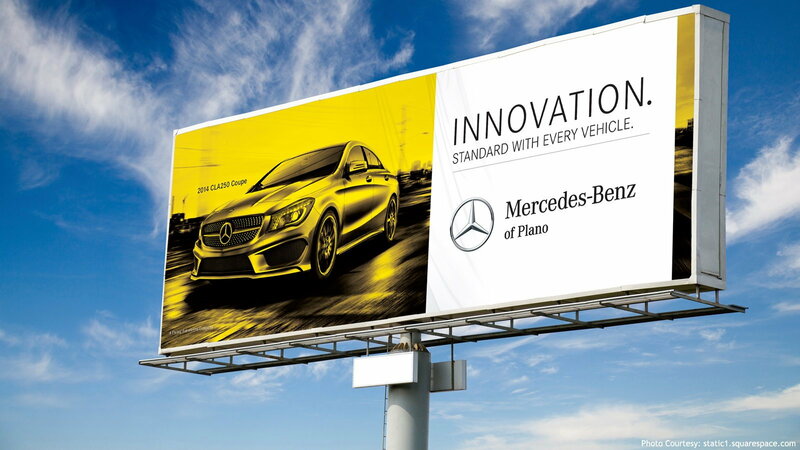 For this billboard, Mercedes stated the obvious, that every single Benz comes standard with innovation; no need for fancy packages, just simply get yourself a Mercedes. Sometimes when you're driving down the road, you need to forget about your job, your routines, and just imagine a perfect life. 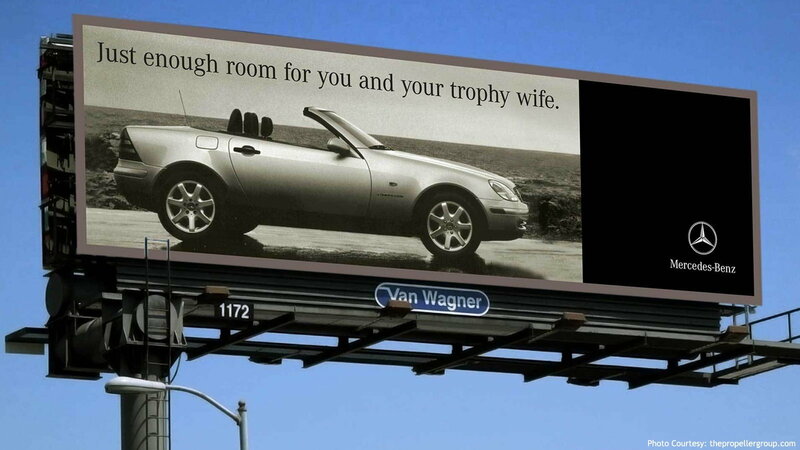 Mercedes took the initiative to build an image of what a perfect life would be like, which is this car, a Benz big enough only for you and your trophy wife. 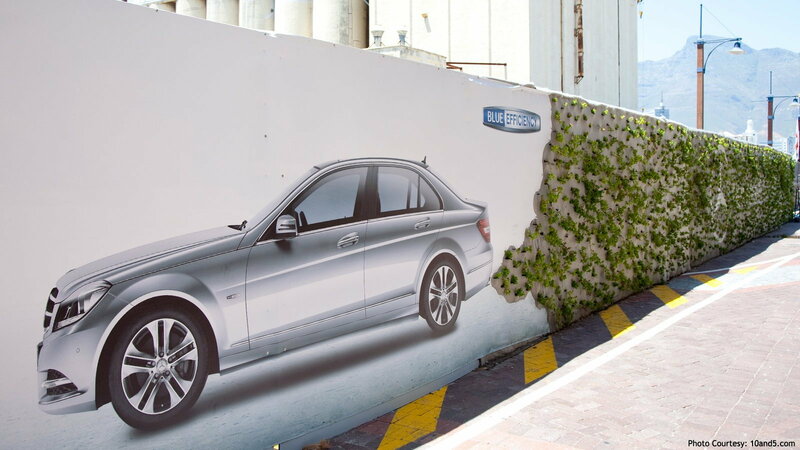 This is one of the most creative marketing pieces out there, a Mercedes promoting going green. The exhaust coming out of the car is made out of real plants, showing you what your positive participation to global warming would be like by owning this BlueEfficiency Benz. If a car driving on the wall doesn't make you look, nothing will. No need for crazy colors that will grab your attention, no need for funny words that will make you laugh, a Benz on the wall is enough to make this image stick in your head for days, not to mention talking to everybody about it. This is a genius billboard. The colors of this billboard make it tremendously easy to capture the eyes. 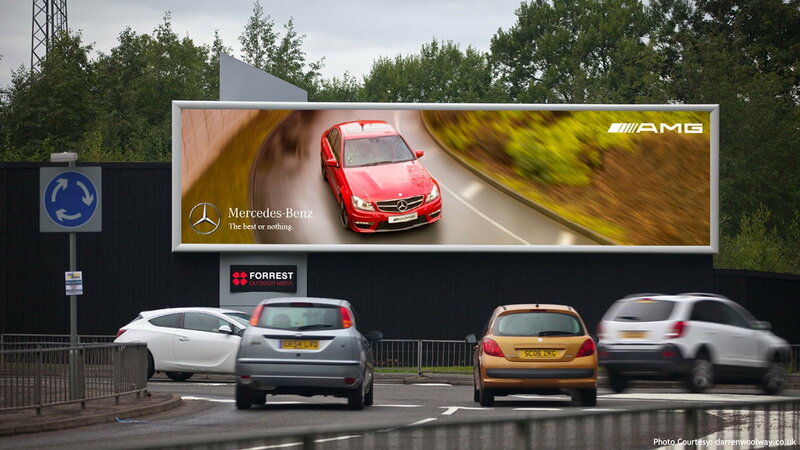 Once your eyes are captured, the beautiful Mercedes on the billboard will do the rest. 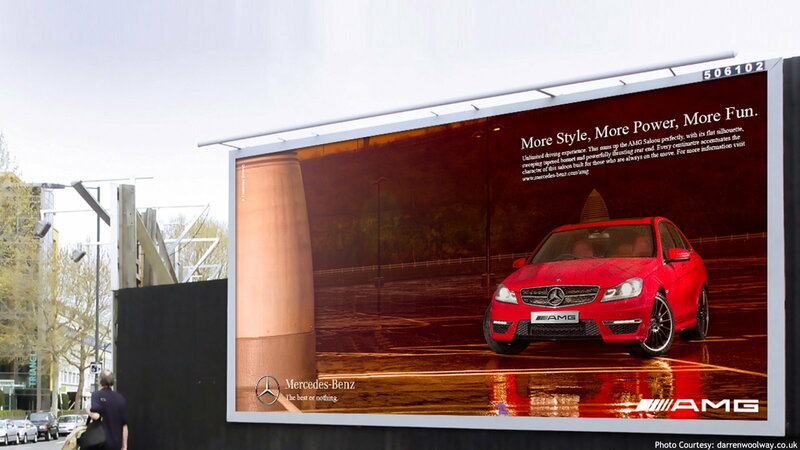 There is nothing like covering a construction wall with a pretty C63 AMG; this is a well-placed billboard. And, for information on maintenance and repairs for your Mercedes-Benz, visit our How-To section here!